The Musicity cassette with expanded downloadable content is now available from my Bandcamp Shop. I’ve included bonus tracks, individual tracks contained in the cassette’s collages, and field recordings that i collected during my explorations of Shenzhen and Shanghai. A dreamy jet lag infused wander around Shenzhen’s OCT Loft. From the Musicity 003 Shenzhen/Shanghai cassette. Available to buy here. The expanded version available from my bandcamp shop contains individual tracks (including this one) and bonus tracks and field recordings. Full release notes are below for those interested in the background to the recordings and compositions. The hidden sound world in the Chinese cities of Shenzen and Shanghai captured and explored through field recordings using traditional, contact and electromagnetic microphones, then absorbed into and interpreted through Buchla synthesiser compositions. Shenzen – just a stone’s throw across the bay from Hong Kong – is one of China’s youngest and fastest-growing cities. Established as a Special Economic Zone (SEZ) in 1980, with accompanying tax benefits and easier global trading, it went from sleepy fishing village to vibrant metropolis and world-leading technology hub in 38 years. We head first to a former glass factory created in the SEZ infancy as a collaboration between China, the USA and Thailand, originally called Shenzen Southern Float Glass Company. Now renamed I Factory, it is used as a venue for conferences, art shows, photo-shoots and performances. Four huge cavernous silos that once held the chemicals needed to make glass now hold nothing but reverb and dust. I replaced those long-gone chemicals with electronic sounds created on the Buchla 200e Electric Music Box. These sounds were introduced into the silo spaces via impulse response reverb, then mixed with extensive field recordings made in those same silos using both traditional and contact microphones – picking up sound waves moving through the air, and vibrations in the solid structure. Next we hear the sounds of what’s left of the original fishing village. Shekou harbour houses a daily fish market, but its days are numbered as the unrelenting force of development threatens its existence. Baishizhou urban village – known as “handshake city” due to the incredible closeness of some of its buildings – is also due for demolition and redevelopment: another unique urban soundscape about to be wiped out. 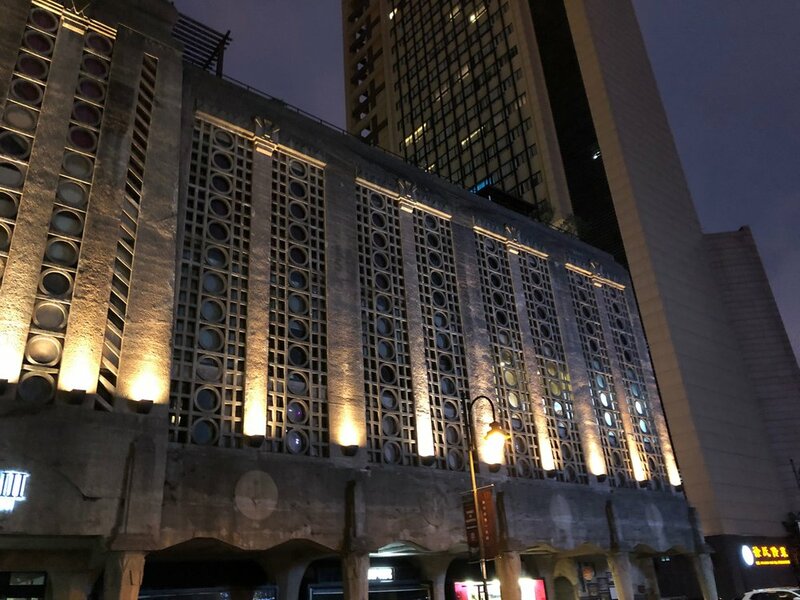 I spent my first evening in Shenzen here, wandering around the bewildering maze of alleyways and busy streets teeming with electric scooters accompanied by a cacophony of horns. The “Square Dance” ladies – the name given to retirees who meet in town squares every evening to dance in groups - were in full swing and lo-fi recorded messages advertising fruit and vegetables blasted from multiple speakers on market stalls. Huaqiangbei Electronic Markets is an area of giant shopping malls full of electronic gadgets, circuits and components. The sound of packing tape is a constant as components are prepared for shipping to the customers who flock here from all over the world. Instead of traditional microphones I chose to capture this space using an electromagnetic microphone which picks up frequencies that surround us in a hidden sound world. These are even more pronounced in the environment of the electronic markets. All the sounds here are untreated. A full album focusing on this material is planned for 2019. We end our sonic exploration of Shenzen at OCT Loft, an ex-factory compound that used to be the home of KONKA, a Chinese manufacturer of electronics products. The factories, warehouses and residential areas have now been taken over by artists, and creative industry flourishes here amongst the utilitarian buildings, leafy pathways and roads, where I kept getting lost in a dreamy haze of jet lag and oppressive heat. But somehow I found calm here. The track OCT Meditation represents a turning point for me: from those anxious “can I do this?” thoughts – which are a low background hum to my daily existence, sometimes seeing me unable to board a train to London – to the realisation that not only am I doing it, but I’m loving every minute of it. The possibilities that stretched out from this moment were mind-blowing. I acknowledge some self-indulgence here, but also the fact that spaces and architecture don’t exist in a vacuum. They are full of life and experiences, sounds that can’t be controlled, often unwelcome intruders, sometime unexpected surprises – so my experience in this place was something I wanted to include. On now to Shanghai, once a modest trading port and now an unparalleled economic powerhouse of 24 million people. Like most Chinese cities, it is a blend of ancient and modern, with old European banking buildings on one side of the waterfront area known as the Bund, looking across to the cutting-edge architecture of the modern financial centres. Modernisation is key here – with many humbler districts being demolished to make way for developments designed to consolidate the city’s global influence. A tiny microphone attached to a massive cable reel travels across the floor of a huge hangar at West Bund Aircraft Factory, now being transformed into a cultural hub on the banks of the Huangpu River. Next – 1933 – a brutal concrete structure that actually predated Brutalism, designed to expedite the slaughter of animals. The confusing, visually stunning, maze of grey concrete passages, ramps, stairs and bridges ensured the cattle could move only one way – to their inevitable death. Our visit here begins with an unofficial guided tour around the building as I get my bearings. The first thing I noticed when I arrived are the patterns. The front of the building has 19 rows of 12 circular windows running the entire width of the structure - these were originally vents to keep air flowing throughout the slaughterhouse. Looking like a giant step sequencer, they provided a starting point for my composition Old Milfun, the building’s original name. I also referred to a document that revealed the Feng Shui of the building. It claims that the number of windows, ramps, stairways and the shapes of the pillars were not arbitrary or dictated by structural concerns, but instead were designed to protect the outside world from the negative energies being unleashed inside. Even the location and building’s orientation were considered with Shanghai’s human residents’ spiritual safety in mind. This folklore, combined with the structure, led to a composition that – just like the building itself – is full of maze-like patterns and sequences that circle and loop around again and again. I wanted to create a composition that was easy to get lost in, where you never quite know where you are – just like 1933, where I got lost many times. We leave 1933 at midnight with my local guide Tian playing Chinese bells that I’d found in the city earlier that day. The spaciousness of the sound in this next location – Nanshi Power Plant - captivated me and I ended up recording for over 45 minutes. There was definitely a meditative process going on – maybe an antidote to the intensity of sounds captured during the rest of the trip? This towering building supplied the first electric light to Chinese people in 1897 and had a temporary stint as Pavilion of Future during the 2010 Shanghai World Expo. It is now known as the Power Station of Art, a 42,000 square metre museum and gallery. I was lucky to get a tour when the space was closed to the public, which offered a unique recording opportunity. 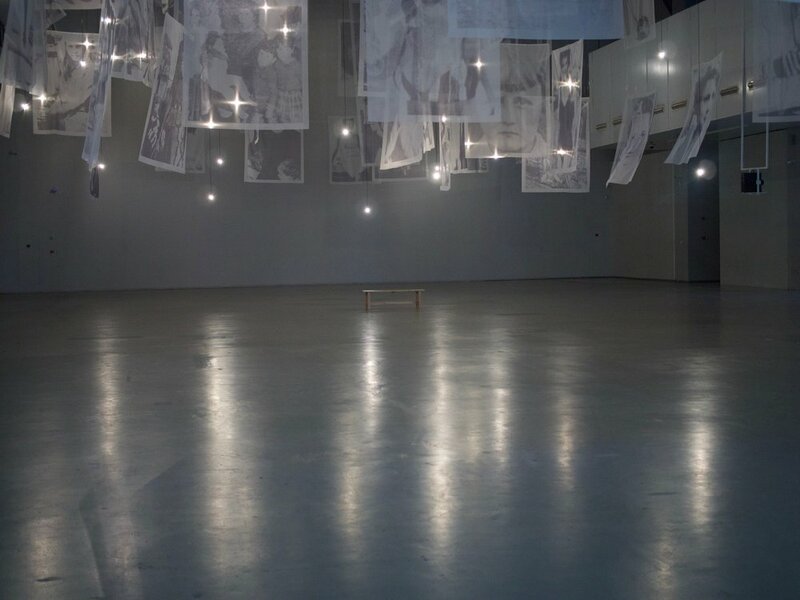 I sat in the midst of Christian Boltanski’s “Storage Memory” exhibition, recording the space. At first there is just the whine of power in the background, while occasional voices of staff come and go. Later, a mechanism on the ceiling starts up, slowly moving photographic portraits printed on thin cloth around the huge hall. The squeaks and rattles reverberate around the space beautifully and sounds from another installation drift through the corridors. The peace of this space is soon broken by an electronic approximation of electricity which crossfades to an electromagnetic recording of Shanghai’s maglev train to Shanghai Airport. I’ll be heading back to China soon to perform the music I created for the Musicity project. Just found this footage of driving through Shenzhen after a long day of recording with my new friend and sound artist/musician/promoter/hardest working artist in China, Dickson Dee. 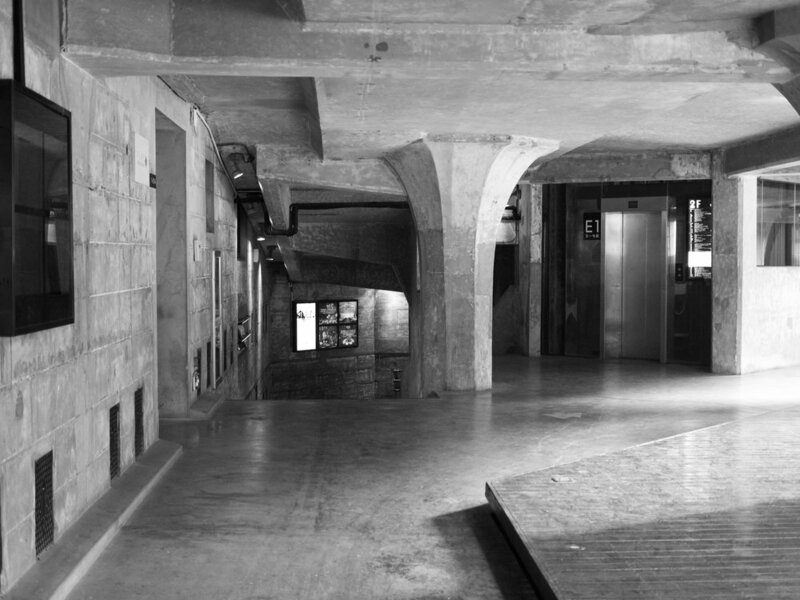 One of the buildings that I created music for as part of the Musicity project, was the Shanghai Slaughterhouse, 1933. This pre brutalist brutal building was designed to expedite the killing of animals to provide meat for Shanghai’s residents. It is now a space for shops, galleries, restaurants and a theatre, but the history is hard to shift, as the design is so striking it makes it impossible to forget its intended purpose. I spent a couple of days at 1933, recording sounds to use in my piece of music (which is now finished and will be shared soon) but I’d forgotten I also recorded a sort of guided walk during one of Shanghai’s famous downpours. It was interesting to listen back to myself (and also weird) trying to navigate the maze of passages and bridges whilst taking in everything in the space. I’m sharing this as a personal audio journal/sound walk. It isn’t a definitive audio guide. The electronics markets in Shenzhen are famous. It's easy to assume they are full of fake iPhones and other brands, but there is much more to Shenzhen than that. Shenzhen is the place to go if you are designing new technology, because you can get prototypes built in a fraction of the time it takes anywhere else. You can also buy pretty much any electronic component you can think of. I spent two hours exploring 7 floors of electronics, using my LOM Elektrosluch electromagnetic microphone to record the hidden sounds that the circuits, LEDs, components and gadgets emit. The LEDs in particular were a rich vein of sounds; the colours, patterns and movements creating a beautiful minimal techno album 12 hours a day, hidden from human ears. Recordings coming soon. Just after a heavy downpour. 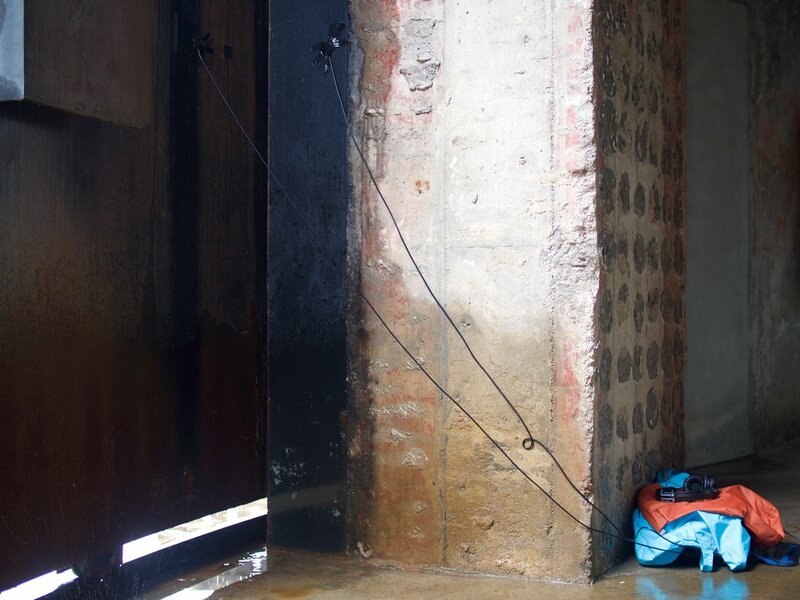 water was falling against these huge doors at a factory in Shenzhen, China. I attached stereo contact microphones and recorded the vibrations of those rain drops and drips resonating through the metal. Those sounds will find their way in to my track, Silo, for Musicity and The British Council. I've just returned from a truly inspiring trip to China where I've been gathering field recordings and researching buildings for the latest Musicity project. Nick Luscombe (BBC Radio 3) with the support of the British Council, has commissioned a group of artists from the UK and China to create pieces of music for buildings and structures in Beijing, Shanghai and Shenzhen. I spent 5 days each in Shenzhen and Shanghai recording with traditional microphones, contact microphones and electromagnetic microphones - Huge factory silos with beautiful reverb, 7 story electronic markets, Maglev Trains, Power Stations and much more! I'm currently back in the studio and working on the first of the tracks for a building in Shanghai that used to be a slaughterhouse. 1933 is a mix of art deco and brutalist architecture and resembles an Escher painting; a maze of concrete bridges and stairways lead to a circular central structure where the cattle met their fate. My plan is to use the shapes and patterns of the building as a graphical score. I also found an interesting document that talks about the Feng Shui, numbers and codes believed to have protected the local population from the negative 'death energy' leaking from the building. It was lovely to spend an evening with so many audio creatives at the British Podcasting Awards 2018, and see the way the medium is flourishing. I attended with Lance Dann, creator, writer and director of techno thriller audio drama, Blood Culture, which was nominated, and won Silver, in the Best Fiction category. I now have a list of new podcasts I need to check out. I've been a bit quiet here as I've been working on an intense production for nearly 6 months. More on that another time. Lots of exciting things coming up including a trip to China with BBC Radio 3 broadcaster Nick Luscombe's Musicity project, to make music inspired by architecture, a theatre piece with Neil Cargill (Akiha Den Den) and more work with Andrew Phillips on TV soundtracks. In the meantime here is a track that just got released as part of a compilation tape on Modern Aviation Recordings. My bass heavy, boney Buchla rhythm workout, Dry Bones, sits nicely alongside tracks from Jon Brooks, Moon Wiring Club, Teresa Winter and The Hardy Tree. The cassette is sold out at the moment but I hear that the label might do a re-press. if you want to buy the digital version and support the label and artists, do that here. I created a playlist to welcome Winter. It features drones and sound designs I've created for various projects over the last 12 months - all suitably cold and dark and melancholic. Friend and colleague Lance Dann won Gold in the best producer category at the Audible Audio Production Awards last night. Here is what the judges had to say about the series that I contributed music to and was lead sound designer on. It is really exciting to see adventurous audio drama getting recognised. 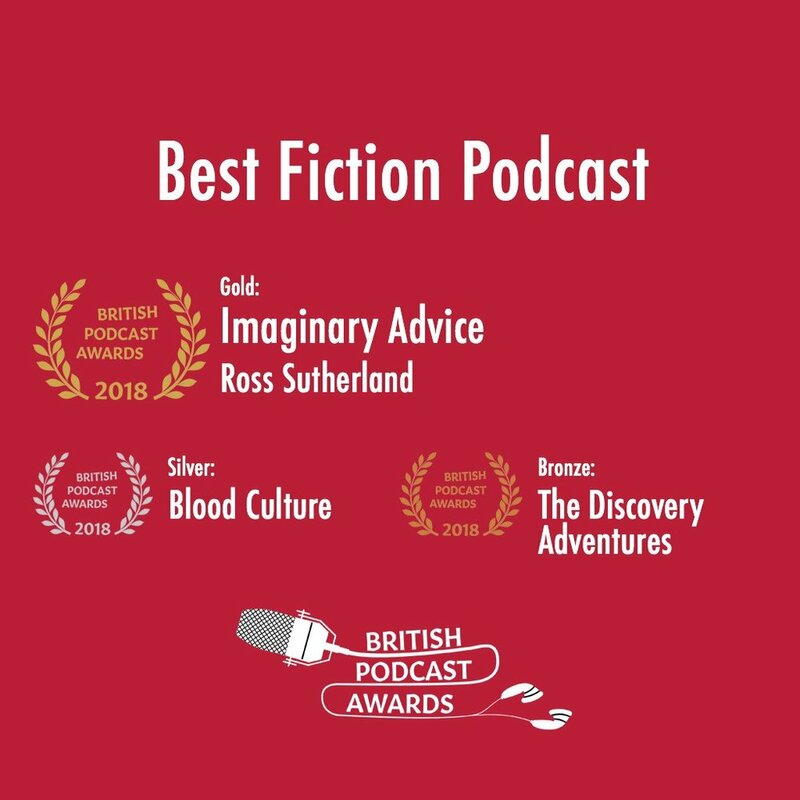 Quite excited to report that Lance Dann's Blood Culture podcast has been nominated in the BBC Radio Drama Awards in the Best Online or Podcast Drama category. This time last year the team were in the studio in Brighton recording the performances of the fantastic cast. I recorded many of those performances, sound designed and mixed 2 episodes and provided music throughout the series. Looking forward to series 2. A very enjoyable performance surrounded by beautiful slide projections - the Further team setup over 20 projectors covering every wall with visuals, and Sculpture blew everybody's minds with their live zoetrope and tape loop set. I'll share a video of my performance when I get a chance to edit it! Thanks to everybody that worked so hard to make the evening so successful. I use these sheets to keep track of settings on my Buchla synthesizer. This one is for my upcoming show at Further on the 18th November. For those that are new to modular synths, they are different to modern synthesizers where everything is hardwired inside. A modular synthesizer is made up of different modules all with different roles. It won't make a sound until the right connections are made. This flexible architecture provides almost endless possibilities for sound design and musical timbres. I'm busy preparing material on the Buchla Electric Music Box for the upcoming performance at Further on the 18th November. I'm going to be sharing little snippets of that preparation as I go along with Pete Williams (Further) providing some brilliant visuals. This is the first clip - Further Away. I'm performing a live Buchla Electric Music Box set in London on the 18th November. Thrilled to be invited to play alongside Sculpture who project mind bending live zoetrope visuals alongside their tape loop compositions. The team of DJ Food and Pete Williams fill the performance space with 'out of this world' projections and liquid light show - I've seen images from the first event and it really is an immersive visual spectacle with every available surface used. Tickets here. I thoroughly enjoyed working with Miniclick Talks, Curtis James and Stanley James Press on their Spirit Side installation. They took over the basement of an old Regency Town House on Brighton seafront and filled it with examples of spirit photography, and I created an 'otherworldly' soundscape that plays as visitors wander around with torches in the eerie space that used to be the servants quarters. Last night an evening of talks took place from the head of the Anomolistic Psychology Research Unit at Goldsmiths, Prof. Chris French, funeral director Tora Colwill and film maker Vicky Matthews. I performed live before and after the talks and it was great fun 'soundtracking' people's exploration of the space, underscoring their discoveries. The installation is open until Thursday 17.00 to 19.00. Here is a creepy video of a 'visitation' in the wine cellar. An excerpt of a recording I made whilst sheltering under the Narnain Boulders on route to The Cobbler/Ben Arthur in Scotland. We had terrible weather and had to turn back in the end as visibility was so poor.